This guide covers resources and tools helpful for people interested in GIS. General campus GIS & mapping listserv - Information about trainings and events on campus, job postings, and funding opportunities. GIF (Geospatial Innovation Facility) community listserv - News from the GIF about their Geolunch seminar series, workshops, classes, and events. Archaeological Research Facility (ARF) listserv - Information related to archaeological research with a focus on public events occurring at UC Berkeley and the larger San Francisco Bay Area. D-Lab weekly newsletter - Announcements about training opportunities at the D-Lab, the social science data lab. ESRI's GIS Bibliography covers the literature of geographic information systems, science, and technology. It indexes journals, conference proceedings, books, and reports from the origins of GIS to the present. 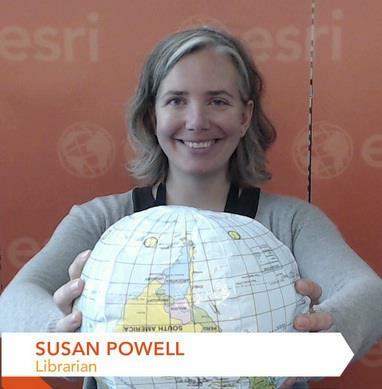 There are currently more than 144,142 entries in the Esri GIS Bibliography. The Earth Sciences & Map Library supports geographic information system (GIS) software and data services across all disciplines for the UC Berkeley campus. The library has two GIS workstations available for UC Berkeley student, staff, and faculty use (they are also available to the public). These workstations have fully licensed versions of ArcGIS 10.4.1 for Desktop installed, as well as a complement of other GIS products and supporting software. Library patrons can use these machines for GIS work whenever the library is open. ArcGIS 10.4.1 and a recent version of QGIS are also installed on all library computers across campus (requires Calnet login). When searching Oskicat for GIS data use a keyword search for the term "geospatial data" and the geographic location in which you are interested (e.g. India geospatial data). The Maps guide has additional information for finding physical and scanned maps.